Petralona cave is situated about 1km east from the village of Petralona and 50km southeast of the city of Thessaloniki.The cave was discovered in 1959. It is proved that the scull of the prehistorical man that was found there , was about 700.000 years old , which means that is an oldest in European continent. 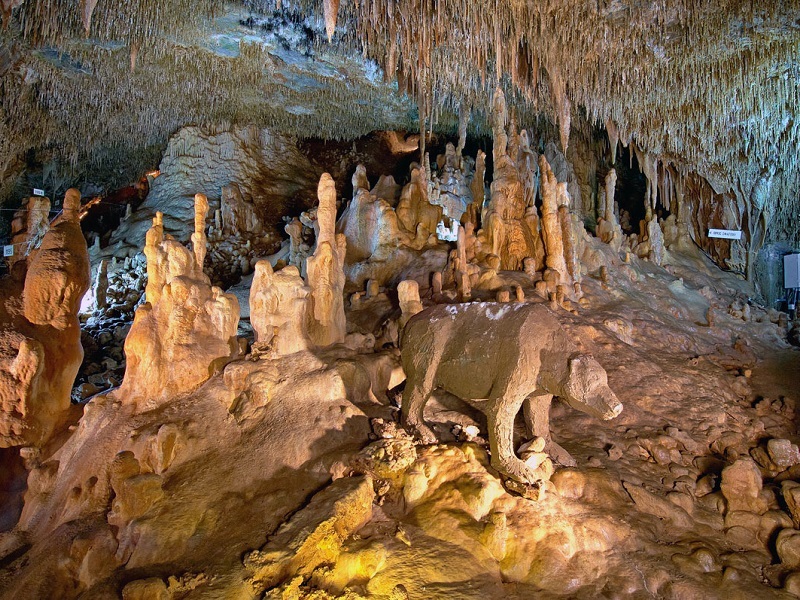 Today, visitor can admire the impressive stalactites and stalagmites in the cave’s interior.